… some already asked for it: The Fahrplan (schedule) as a handy A4-sized PDF for print-outs (fold it in the middle). 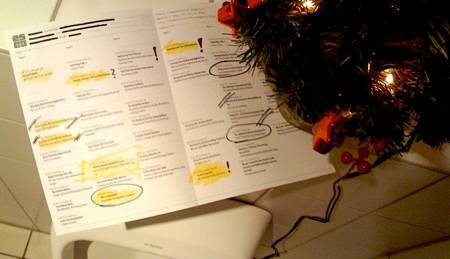 So you can now use the lonely moments under the christmas tree to figure out what lectures to attend – even without using a computer. But there is no need to get your printer-drivers back to working – a print-out will be waiting for you at the entrance of 25C3. The spaceship has landed at the 25C3!